EL wire inverter, small compact electroluminescent inverter requires 12v input. allows for up to 4 segments of Ultrabright EL wire of combined length 4-6m. 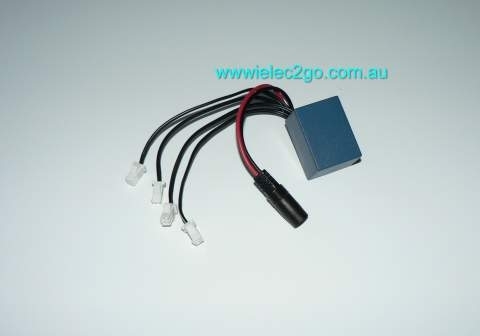 Capable of powering from 4-8m EL wire of Ultrabright 3.2mm . Optimum brightness of the 'Ultrabright' wire achieved at 6m. Optimum brightness of the 2.6mm wire achieved at 4-6m. of Ultrabright EL wire of combined length 4-6m. wire achieved at 6m. Optimum brightness of the 2.6mm wire achieved at 4-6m.